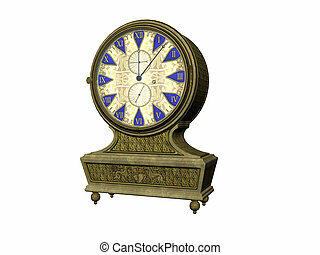 An antique clock an twelve o'clock. 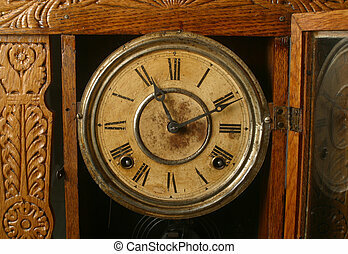 An antique clock at twelve o'clock. 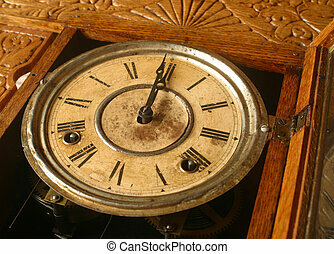 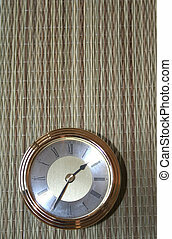 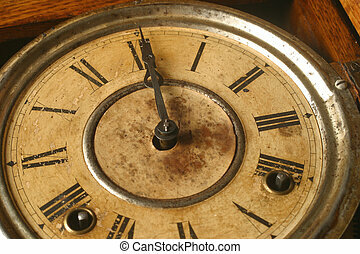 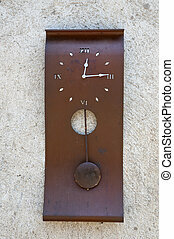 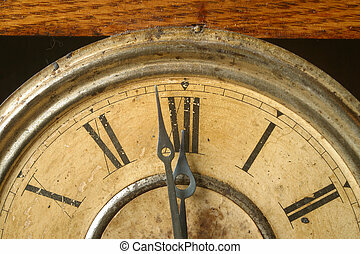 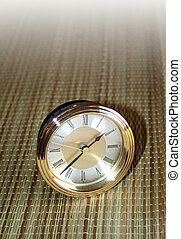 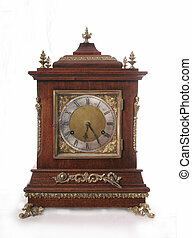 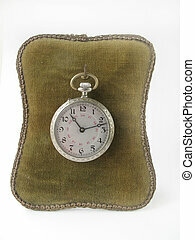 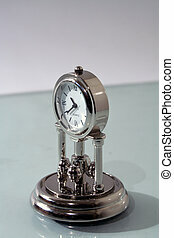 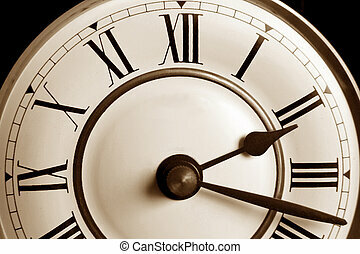 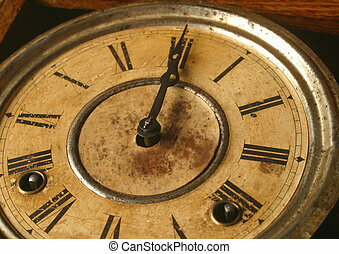 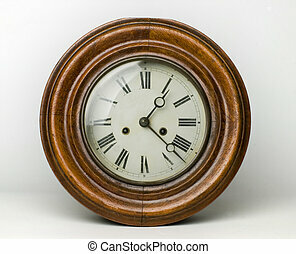 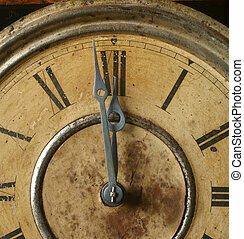 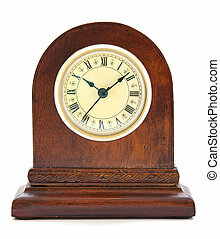 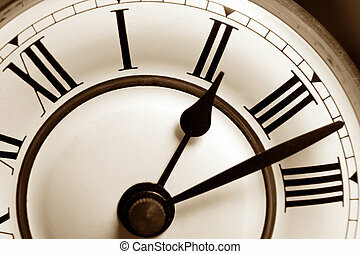 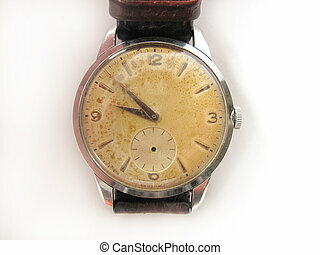 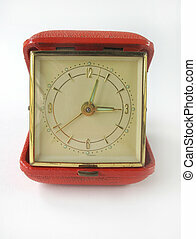 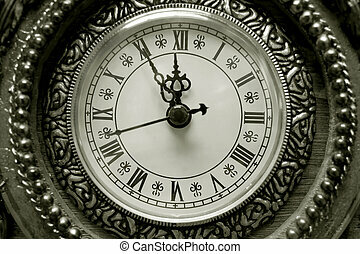 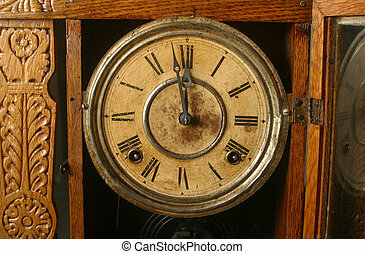 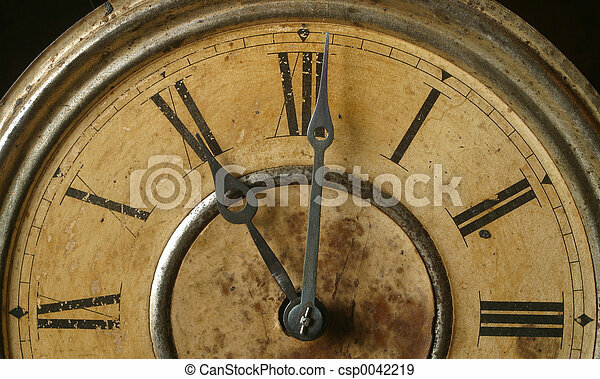 An antique clock at twelve o\'clock.